In 1943, Rabbi Aharon Davids was the chief rabbi of Rotterdam when the Nazis deported his whole community to Westerbork concentration camp in Holland. In early 1944, all the Jews were taken from Westerbork to Bergen-Belsen. Conditions in Westerbork had been very difficult, but religious observance had been somewhat possible, which had helped to preserve the dignity of the Jews, and their will to live. When they arrived at Bergen-Belsen, families were divided and possessions were confiscated. Within a short time disease spread and people were getting killed or dying. Obviously there was going to be no matzah for the Seder. As Pesach approached, Rabbi Davids wanted to do something to preserve the morale of his family and congregants, even as their physical strength waned. It was going to be impossible not to eat chometz during the week of Pesach, as bread was crucial to their survival. There was also no matzah, and Rabbi Davids did not have any haggadas. But he knew that it was important for him and everyone else to have a Seder. So, on the first night of Pesach, Rabbi Davids gathered everyone into a group, and they sat down together for a “Seder”. Rabbi Davids and his son Eli died in Bergen-Belsen, shortly before it was liberated. But his wife, Erika, and their daughters survived. In 1947, Erika Davids, together with her daughters, immigrated to the Land of Israel. 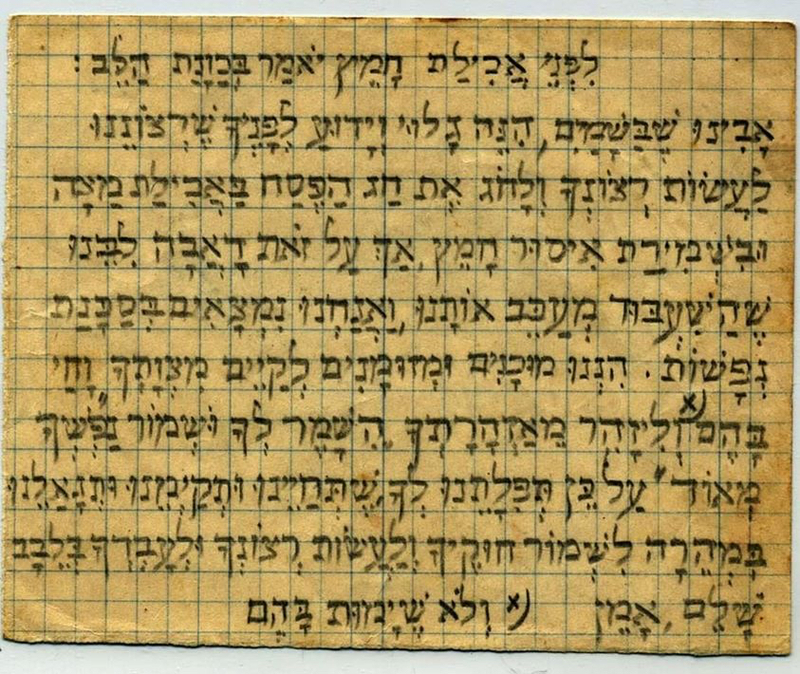 Each year, her family and their descendants would repeat the prayer Rabbi Davids had said at the Seder in Bergen Belsen. Rabbi Davids knew that doing the Seder properly that year was not going to be possible. There was no matzah, no karpas, no maror, and no charoset. If they were discovered by the SS guards they would be killed. Nevertheless, with unimaginable courage, he began the Seder anyway. And it was a Seder never to be forgotten, a Seder that lives on in his family. “Bechol Dor Vador Omdim Aleinu Lechaloteinu.” In every generation they have risen up to destroy us. “VeHakadosh Baruch Hu Matzileinu Miyadam.” But God rescues us from their hands. If not us, then our children, who continue to perpetuate Jewish life and Jewish tradition, having outlived the hardships of those challenging times. Rabbi Davids’ mother was Rosa Dunner, first cousin of my great-grandfather, Baruch Chaim Dunner (who was murdered at Auschwitz in 1944). 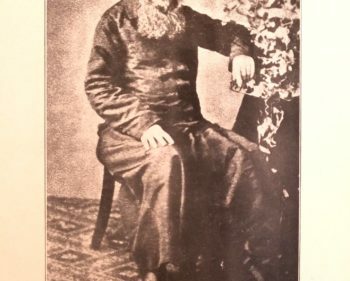 Rosa Dunner was the daughter of Rabbi Josef Hirsch Dunner (1833-1911), Chief Rabbi of Holland.